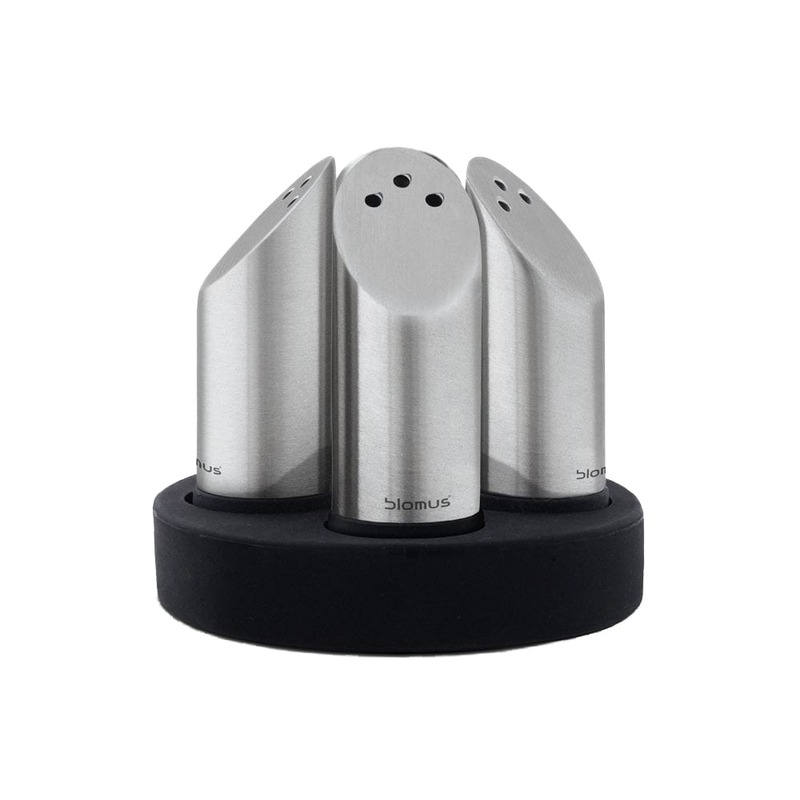 OVO is a stylish set of 4 salt shakers in matt stainless steel together with a black silicone tray by German design label Blomus. Harmony at the breakfast table! Now everyone at the table can have their own salt shaker! 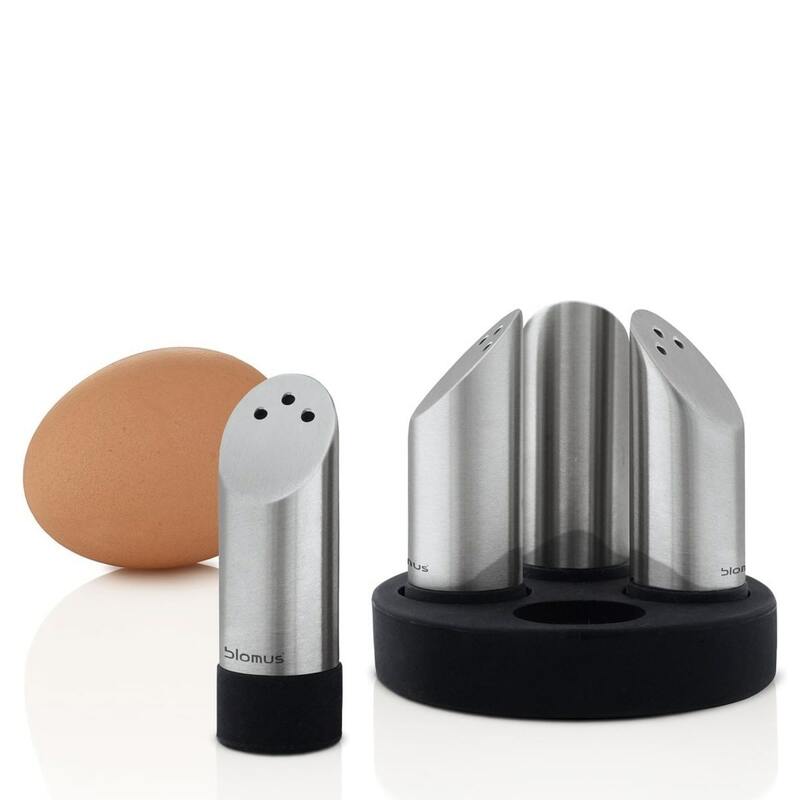 Combine OVO with an elegant pepper mill and you have the perfect set-up for your table. Designed by Flöz Design for Blomus. Dimensions with base: Diameter 6 cm Height 7 cm. Dimensions each shaker: Diameter 1,8 cm Height 5,4 cm.